Innovative surfgenerator or surfsimulator by Wavesurfer. The Wavesurfer was developed by AFP Technology (Aqua Fun Projects), a young and dynamic company run by craftsmen who love watersports. 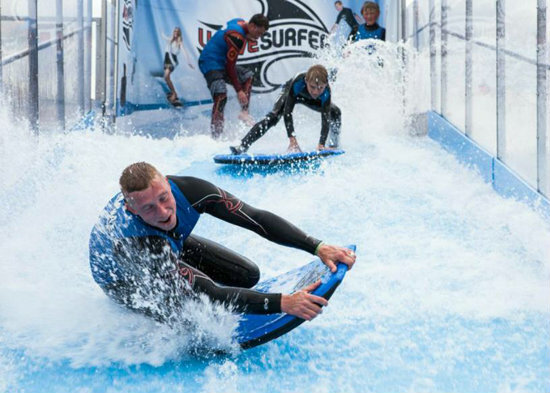 Our original and innovative surfgenerator or surfsimulator is a unique water attraction that all people can enjoy! Each Wavesurfer is developed and assembled at our factory by our own professionals. This way, we don’t have to involve third parties. And more importantly, you are sure to receive a product of European top quality! Take a look at our entire product catalogue.